If your product or service appeals to millennials that gravitate toward experiences, then we have good news. Well actually, Google has the good news, but as Google Partners, we can implement the right tech for the best category. The market leader in digital advertising technology unveiled three underpriced innovations last week that must be exploited. Marketers leading experience led products and services around the Dubai Expo 2020 should pay attention. Fear not – Google isn’t taking cues from Facebook to cannibalise Snapchat. In this case, lens refers to an image recognition tool that relies on the camera of the smartphone and the data connection to scan items in the visual field and translate their meaning to the user. Business visitors and tourists flocking to the Dubai Expo 2020 will now be able to scan any food item, beverage, image, barcode (etc) to determine the prices, translation of the text or requested data set. With a scan and learn function, language is no longer a barrier for first-time travellers. Tour guides might feel the pinch when users of Google lens start to learn about the history of monuments, galleries, and structures within their scan range. Marketers in charge of the tourism departments of cities and country’s should work to gamify the tourism and exploration experience, similar to the model of Stray Boots. Similar to the model of Pokemon Go, marketers have ample time to create an immersive augmented reality experience that organically drives footfall from one direction to the next. Vendors situated outside the Dubai Expo 2020 would do well the bid for geotags and beacons associated with these AR games. The model is proven, ideas abundant, and execution is the advantage. Powered by Tango, the depth sensing device, a visual positioning system (VPS) is the indoor version of the navigational value addition that GPS has provided outdoors. Simply put, locations with a roof will become easier to navigate, taking in-mall or in-store location-based marketing to another level of accuracy. Business interests and tourists flocking to the UAE for Dubai Expo 2020 will be at ease when visiting indoor spaces such as malls, museums, and clubs. Google VPS grants them the power to navigate unfamiliar spaces like locals. This opportunity will be fully realised by next year and the business exhibiting themselves at Dubai Expo 2020 must bid for pathways that guide qualified audiences to their stalls, booths, and activations. Admittedly, I was hesitant to mention this because VR will take off after 2020 in my view. But since Google announced that VR capabilities will be on Samsung Galaxy devices, we now know that the access to the new platform has been democratised and is not bound by its high price based entry barrier. Let’s face it, Apple’s marketing ecosystem is limited. 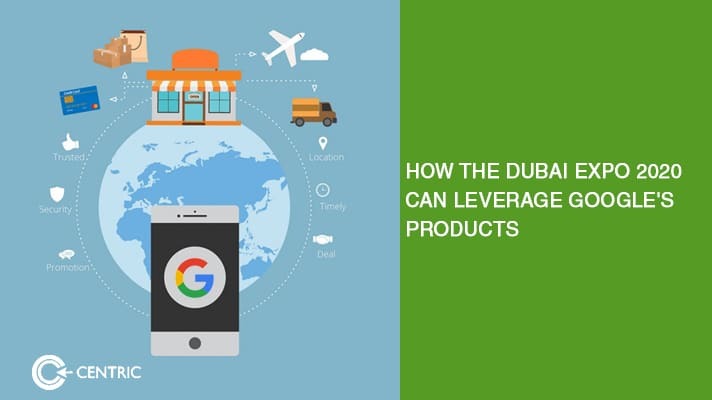 With Google’s new tools, marketers for advertisers sponsoring or participating at the Dubai Expo 2020 have a better chance of drawing qualified audiences to their makeshift stores and close deals that benefit the buyer and the seller. To get started with the above tools, reach me on babar.khan@centric.ae today.